You may not spend much time thinking about what happens after you flush the toilet in your home. However, regardless of where you live, it is important to understand what kind of waste system you have on your property, whether it's an independent septic system or a connection to your neighborhood sewage network. There are several telltale signs that you have a septic system. Think about where you live. Your home's physical location is the biggest factor that will help you discover whether you have a septic system. If you live in a city, town or subdivision, it's almost certain your home's waste system is connected to a sewer system that runs through the neighborhood and into a network of pipes that lead to a sewage treatment plan. If you live in a rural area, especially if there is a significant distance between you and your neighbors, it is likely you have a septic system. 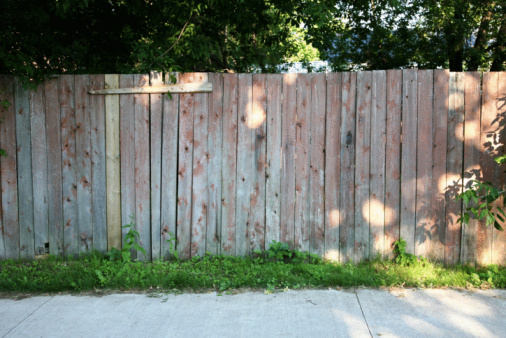 Walk around your yard to look for a large bump in the grass on one side of the house. A sign that you have a septic system is a domed area under the grass. The size of the bump will vary depending on your house and the number of toilets you have, but it may be noticeable. Don't look for a drastic hill; the bump may only rise one foot over the yard. Look up and down your street to search for sewage access ports or manholes. These are a clear indicator that you are hooked up to a sewage system and do not have a septic tank. Call the branch of your local government that deals with land, such as the registry office or assessment bureau at the city level. If you provide your name, address and other property location, a clerk at the office can tell you the specifics of your property. Call a licensed real estate agent to inquire about your property. An agent can often look up your property in a database and tell you whether you are connected to a sewer system or have a septic tank. Call a septic pumping service in your area to inquire if your street is known to have septic systems. If the previous owner of your home, or your neighbor, has a septic system, they may have used the septic pumping service in the past. How Do I Know if My Property Has a Septic or a Sewer?